From HD delivery to dynamic advertising models, Silverlight has rapidly become the industry leader for enabling rich, interactive media scenarios. 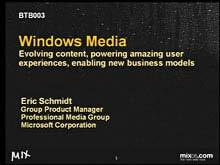 This session will review the media focused technology strategy behind Microsoft Silverlight, Microsoft Silverlight Media Framework, IIS Media Services, Microsoft Expression and Windows phone. 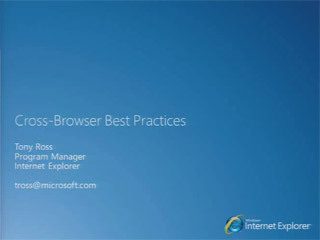 Highlights for this session include: efficient media player development, 3-d rendering, real-time ad injection, leveraging multi-cast, managing large media delivery farms, choosing the right content protection strategy, real time media pipeline monitoring and a drill into what's new in SIlverlight 4. 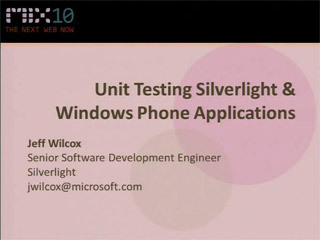 If you are building or want to build video based Silverlight applications this session will provide technical guidance and give you an opportunity to voice your needs about the future of media and Silverlight.